Imagine a garden where there is no tilling, no weeds, no pests, and most importantly no irrigation. Although this may sound like a dream, it’s quite practical with aquaponic farming. Aquaponics is a revolutionary way of growing fish and food together in a sustainable closed system.Before you get started, it’s recommended that you carefully search for the best aquaponics books as a perfect guide. The books should contain resourceful information to get your systems up and running. 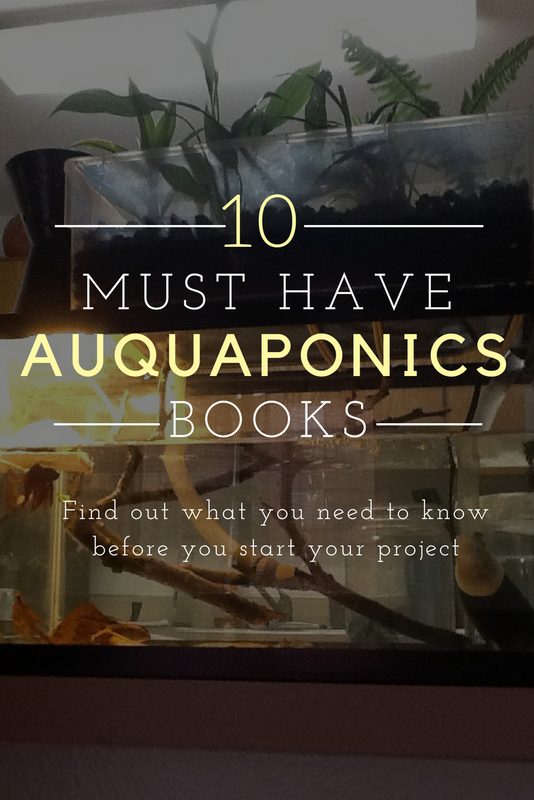 In this article, we have summarized for you all-inclusive guide on the best aquaponics books. The authors have invested time and money in their research to help you build an effective home aquaponic system. This is a comprehensive handbook that contains 257 pages of rich information on aquaponic gardening. It features a well-illustrated guide from start to finish. The book is more of a DIY manual that gives you all the tools you need to start your own aquaponic system. It provides a deep insight on how to grow greens, organic vegetables, herbs and fruits. The book gives an overview of aquaponic farming and how to enjoy fresh, healthy food all year round. It goes on to explain the hardware components and location considerations to get started. You’ll also get plenty of information on how to maintain your aquaponic system. This book is written by Sylvia Bernstein. She is globally known as an aquaponic gardening expert. Sylvia is the founder and president of `The Aquaponic Source’. She writes, speaks and blogs extensively on this revolutionary technique. Her inspiration in aquaponics is well outlined in this delightful book. This is one of the best aquaponics books that give concrete information on how to select plants that suits your aquaponic system. It’s written in English and contains 28 pages of rich information. It outlines all factors that contribute to development of plants. The reader will get ideas on how to plan his or her aquaponics garden. The first three chapters talk about fish waste, fish tank density and nutritional content of plants. This book is your endless source of inspiration when choosing your plants. It’s simple and to the point with no unnecessary fluff. It contains just what you need to get started. Timothy Tripp is the author of this book. He has specialized in gardening topics. He believes aquaponic gardening is more than just planting and maintain plants. Timothy has written other books on vertical gardening, container gardening, raised bed gardening among others. This book was written by Julio Benson. He has outlined the step-by-step instructions to ensure you make your aquaponic farming a success. He has emphasized that there is no mystery of being successful in aquaponics. It takes hard work. Julio states that, although aquaponics is a mixture of aquaculture and hydroponics, it easy and fun to grow your vegetables and organic fruits. The book contains 50 pages and is one of the best aquaponics books. As part of the introduction, the book has outlined the benefits of aquaponics. There is no digging, bending down, watering or weeding. Best of all, the foods are pesticide-free and healthy. Julio Benson has shared his personal experiences on aquaponics. As a professional, he has explained how you can get the most out of aquaponics. The first chapters talk about how to choose the best fish, and easy maintenance tips. The reader will get plenty of information on how to feed the fish correctly and how to choose the best plants for aquaponic gardening. This aquaponic gardening book shows how to save money by living an Eco-friendly life. This book gives all tips on how to grow aquaponic plants thanks to Sheila brown (author). It contains 56 pages with a few chapters on how to build an aquaponic system that fits your space. She explains a few creative ways to grow your plants and how to tackle any problem that may arise as you grow your plants. It gives suggestions on the best pants to grow, the best fish and how to design a grow bed. It also explains how to come up with a freestanding Z guttering wall. Sheila has given a pretty decent introduction to the subject and has covered a number of elements including vertical growing. This e-book highlights the cleanest and economical ways to grow vegetables and foods. If you want to learn more on how to best grow your aquaponic plants, you should download this book. For those people who want to learn more about this gardening method, they should consider this book as an incredible guide. These are two books in 1 bundle. Sheila brown is the author behind these informative books. The author gives her personal experiences on aquaponics. She has explained how you can make your aquaponic farming a success or a failure. After you read this book, you’ll master a system that can feed you and your family. It also outlines how you can sell the rest of the foods once you’ve had enough. If you have no agriculture or science knowledge, it will be easy to get started. This comprehensive book explains why you should choose aquaponics instead of other agricultural methods. Within this book, you’ll find answers to questions like how to choose fish and plants, how to design your aquaponic system e. t. c.
Most people who are new to this farming method don’t know how to grow plants in the aquaponic system. In this book, you will learn how to start small. For the plants to thrive well, you must consider your system space. Sheila brown explains how to design grow beds and how to erect a guttering wall. If you’ve been looking for the best aquaponics books, this book is for you. To learn everything on this farming method, just download this bundle. The instruction on this book makes it user-friendly for someone with no knowledge of aquaponics. The author gives insightful information on the best plants to grow along with a lot of other useful tips. There is also a heap of useful information on how to maintain your aquaponic system to reap maximum benefits. Download the book from Amazon Digital Services LLC and read it to the end. Michael terry is the author of this book. He has written with passion for the gardeners who are passionate about aquaponic farming. Michael has given suggestions on how to choose fish and plants for your system. The book has outlined the techniques and a step-by-step guide how to grow your plants. It provides a deep insight on how to take care of your fish and plants at the same time. The book contains 41 pages. If you are looking for an amazing guide for aquaponics systems, just grab a copy of this book. A free bonus is included after conclusion. Michael has included illustrations and pictures that show how to build a simple yet effective aquaponics system. This is one of the best aquaponics books organized for easy reference. For instance, there is a list on how you can track the progress of your project. I highly recommend you check this book. Timothy Tripp is the author of this book. As a gardening enthusiast, he has written this book as an inspiration to those who wish to pursue aquaponic farming. The introductory chapter covers tilapia feeding habits, nutritional profile and how it improves the quality of water. It’s beyond a shadow of a doubt that this is the one of the best aquaponics books around. It’s a guide on how to choose fish for your system. It takes into consideration two issues. You can either grow the fish to collate with your plants or raise fish for eating. Timothy has recommended the best fish species like; tilapia, trout, goldfish, carp, catfish, koi and large-mouth bass. He has emphasized that, the fish is the important aspect of the aquaponic system. Before you choose the fish species, you should consider the climate condition of your geographical location. Timothy Tripp recommends that you visit your local Fish and Game Department before deciding on your aquaponics fish species. In aquaponic farming, the nutrient-rich water provides fertilizer for the plants. Similarly, the plants help to purify the water the fish life in. By the fact that plants obtain nutrients from the fish and the plants aid in water purification, a symbiotic relationship is created. This book contains 28 pages and is available at Amazon Digital Services LLC. This book is the easiest guide to design an aquaponic system. Kerry Moore (author) has explained the benefits of aquaponic system. She has also outlined how a beginner can start before growing to an expert. Out of the 27 pages, there are several topics on how you can turn aquaponics to a self-sustaining eco-system. The book highlights how to monitor your system and how to balance the main components. It has also explained the benefits of aquaponic system. For instance, there is no weeding, no chemicals, no fertilizer, no cultivating and no irrigation is required. As a beginner, you’ll understand how to choose the specifications of the system and how to create a thriving environment for organisms. This is one of the best aquaponics books. It contains simple descriptions on how to customize your aquaponic system to fit what you need. Kerry has invested hundreds of hours in research to bring you the very best system that can work for you. The good thing about this type of farming is that what you eat is organic and healthy. Grab a copy of this book and learn the quickest ways of building an aquaponics system. This is a user-friendly book written by David H Dudley. It explains to the reader how to produce healthy fish and lots of fresh organic produce. 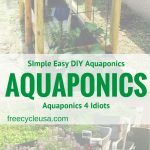 It gives deep insight on how a beginner should operate an aquaponic system through step-by-step instructions. David highlights how you can earn extra money from your aquaponic harvest while at the same time produce enough food for your family. The book contains 550 pages with more than 400 photos and illustrations on how to operate an aquaponic system. In fact, it’s written as a how-to’ book. The book contains three sections; business plan, aquaponic design and on how to go about aquaponics. It’s of great use to investors, researchers and any person who wish to venture into aquaponic farming. This book outlines proven strategies on how to run your aquaponic system. It gives a step-by-step process on how to set up and maintain the system in your home. The book is written in English and contains 38 pages. The introductory chapters give an overview to aquaponics gardening and its benefits. Once you read the book, you’ll be guided on the start-up costs, seeds to use and the best plants for your garden. There is a whole chapter that gives a comparison of aquaponics and hydroponics. The book has plenty of information on what to include on your shopping list for your aquaponic garden and caring tips for your plants. This is a simple way of learning organic gardening without the use of harmful substances. This Aquaponics’ book is available at discounted price. It can be read on Smartphone, PC, tablet, Mac or kindle device. David Wright is the author of this incredible book. If you’re an organic gardening enthusiast, then this book was written just for you. In these uncertain economic times, aquaponics farming is the way to go. You can easily choose the best aquaponics books. The authors have poured hundreds of hours into research to help you build an effective system. The books contain rich information with illustrations that shows how to build a fully functional aquaponics system. They have helped thousands of people to build a simple, yet effective low-cost aquaponic systems in their homes. If you are an organic gardening enthusiast, you can now raise your fish and grow organic produce professionally.